We really like how these gold foiled business cards came together. Simple patterns look great letterpress printed and often times add a special custom touch. The gold edges on dark paper makes it that much more attractive as well! 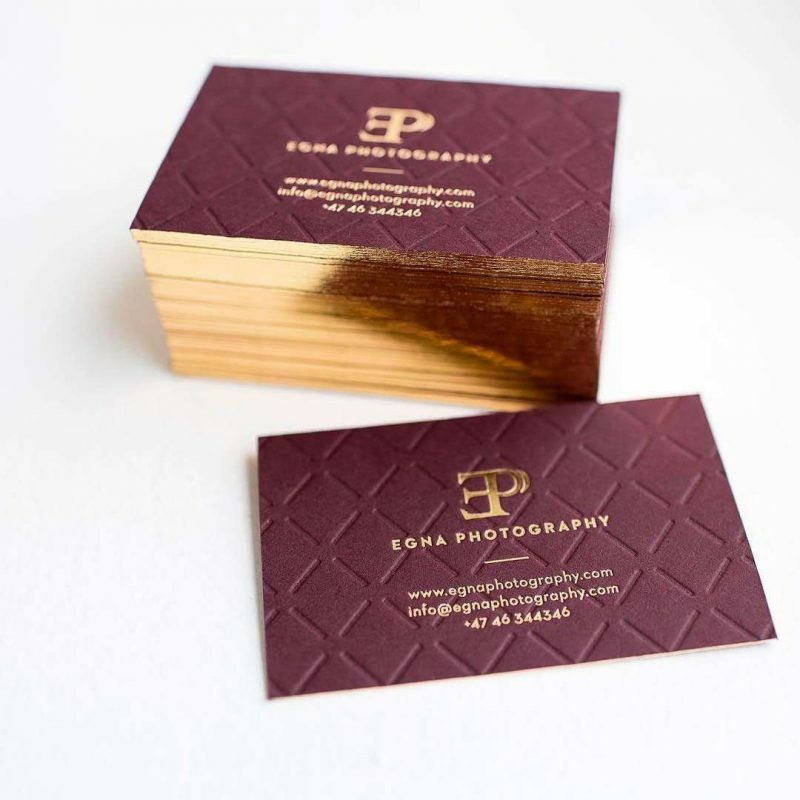 These cards are printed on thick 700 gsm burgundy paper. Business cards printed for Norway based photographer and if you plan a wedding, you absolutely have to check out beautiful portfolio of this photographer! Read more information about our luxury business cards.